The tulips from April to mid-May, the Iris gardens of Vullierens Castle from mid-May to mid-June, the dahlias from July to October, Morges and its region are a tribute to flowers. We will be happy to help you discover these marvels of nature. Come and pick the “Fleur du Léman”! Every year, Morges welcomes the return of spring with more than one hundred thousand tulips decorating the massifs of the Parc de l'Indépendance. 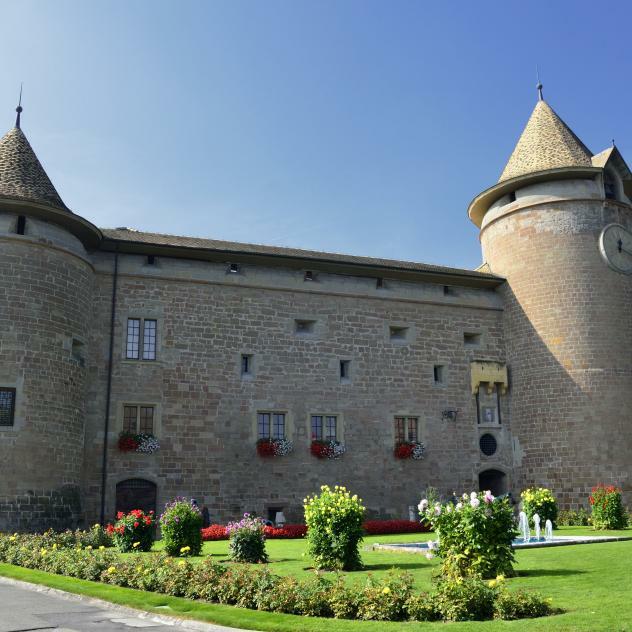 During the following months, the gardens of Vullierens Castle display a fabulous collection of irises and lilies, and the Quais de Morges a unique exhibition-sale of dahlias. You can also discover the floral mosaic in Nyon, composed of more than 16,000 plants. Let yourself be amazed by a visit to the Arboretum of the Vallon de l'Aubonne, a botanical garden on nearly 200 hectares of forests and meadows. Many collections, often spectacular in bloom, such as magnolias, dogwoods, hydrangeas or autumn colours in maples, will not leave you indifferent. MORGES, PARC DE L'INDEPENDANCE - Every spring, Morges hosts the Tulip Festival at Parc de l'Indépendance on the shore of Lake Geneva. An eagerly awaited date in an exceptional site opposite the Alps. Near the castle and, most of all, Lake Geneva, the Parc de l’Indépendance in Morges is the perfect place for a peaceful stroll. In the spring, it is adorned with over 100,000 flowers for the Tulip Festival, a unique event in Switzerland. The Dahlia quays offer a multi-coloured spectacle. In Morges from July to October, the Dahlias enhance the banks of Lake Geneva. The Vullierens Gardens in the Morges hills are an absolute oasis of beauty. The chateau, with its view over Lake Geneva and the Alps, is the precious guardian of 2 hectares of gardens which are covered with almost 50,000 flowers in the spring, mainly irises. Enjoy the beautiful Eclepens's daffodils.